...to the most revolutionary and powerful technology since the invention of the atom bomb. The press wants to interview Factor Man. The Chinese government wants to kill him. And the FBI wants to protect him. But first, they need to find him. William Burkett is a statistics-savvy journalist, but he isn’t qualified to judge the extraordinary claims in an anonymous email he receives from “Factor Man.” Is FM a crackpot, or has he discovered what computer scientists call “God’s algorithm?” As FM solves increasingly complex math problems in a public countdown to the day his identity will be revealed, the momentous consequences of his apparent invention draw the attention of a Chinese assassin. Will Factor Man survive until his coming-out party, or will his technology die with him? 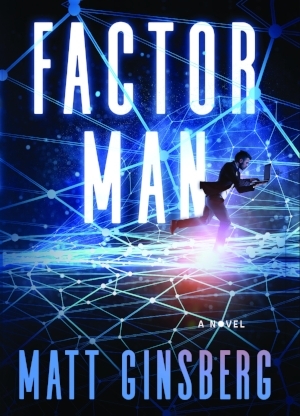 Get Factor Man news once in a while by joining Matt Ginsberg's mailing list. You can unsubscribe at any time.